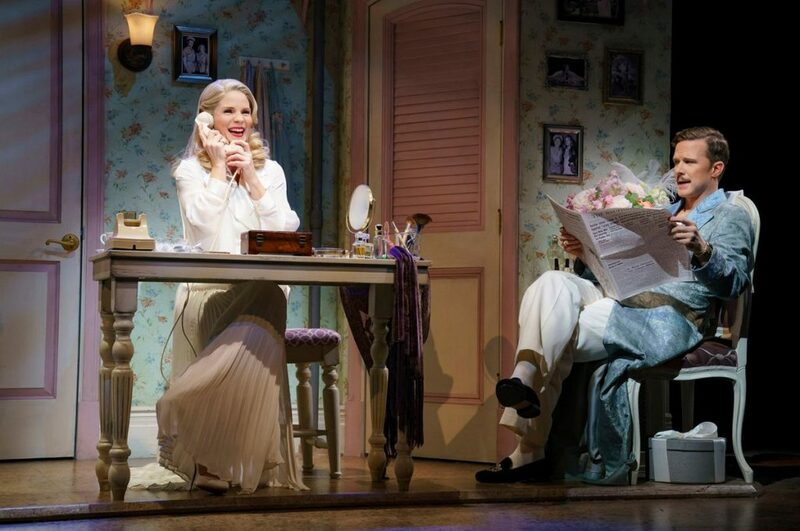 A fabulous revival of the classic musical “Kiss Me Kate”, starring Kelli O’Hara and Will Chase, is a sizzling Roundabout production with a limited run at Studio 54. This re-imagined show, well directed by Scott Ellis, with awesome choreography by Warren Carlyle, features the iconic Cole Porter score that we can sing along with to so many songs. I found myself knowing every lyric, bouncing along with the amazing music. 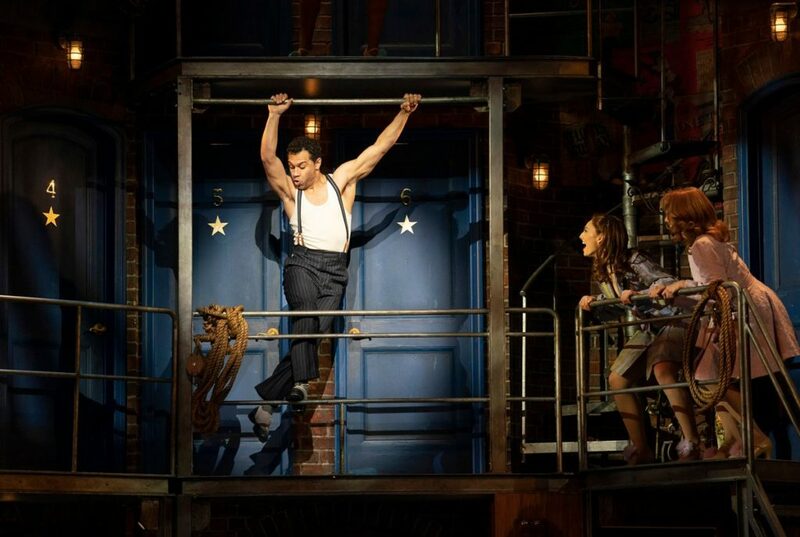 This revival of “Kiss Me Kate” is fresh and perky. Set in a Baltimore theatre in 1948, the imaginative scenic design by David Rockwell creates the perfect ambience, on stage back, stage and outside the stage door. “Kiss Me Kate” is a love letter to the theatre, performers, and anyone who is passionate about the stage. Along with the beautifully cast leads, who are just delightful, I was so happy to see the incredibly talented Corbin Bleu in the role of Bill Calhoun. Bleu is simply wonderful. He is joyful to watch on stage, especially when he does his fancy tap dance solo. Corbin should be on Broadway more often! He plays opposite the adorable Stephanie Styles as Lois Lane. Integrating Shakespeare’s “The Taming of the Shrew” into the story line (written by Sam and Bella Spewack), “Kiss Me Kate” is one of those behind-the-scenes of show business plots that we love so much. As a theatre history fact, the original “Kiss Me Kate” was the winner of the first-ever Tony Award for Best Musical, given out in 1949. I truly loved every performance in this production. The one element that fell a bit flat, however, was the “Brush Up Your Shakespeare” number, with the two gangsters performing the comedic song in front of the curtain, playing to the audience…which went on, well, longer than it should have. But other than that small note, I thoroughly enjoyed this refreshed “Kiss Me Kate.” Watching it unfold is like being served a delicious dessert that comes after a wonderful meal. Like the surprise of a perfect cream puff. Five time Billboard Award-winning media personality Valerie Smaldone is a theatre, food, lifestyle and entertainment enthusiast. She is a celebrity interviewer, accomplished voice-over artist and actress. Catch Valerie's radio show "Bagels and Broadway with Valerie Smaldone" Saturday mornings at 9 on AM970, focusing on theatre, food and great conversation. On television, she hosts shows on Ch.13, WLIW and NJTV, and she can be seen on various episodic tv programs. A live event emcee, moderator, and "Voice of God" at events and award ceremonies, Valerie is also an adjunct instructor at School of Visual Arts, as well as a private talent coach and sought-after speaker.